Your new home awaits you at The Taylor! 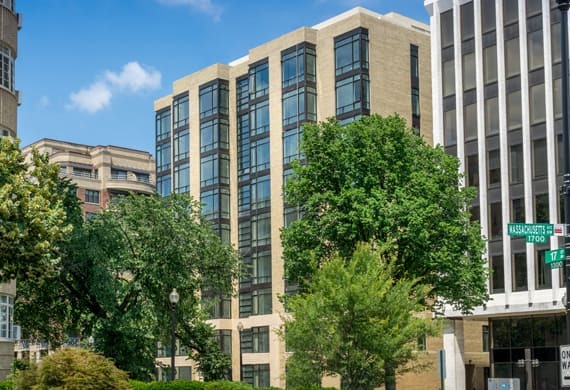 These cozy garden-style one, two and three-bedroom apartment homes enjoy convenient access to Washington, D.C. Spacious open floor plans feature new kitchen and bathroom amenities, wood parquet floors, washer and dryer, and fantastic closets. I have had a great experience at the Taylor, and with Keener Management as a whole. The application and move-in process was easy, and the management team has been quick to respond and resolve any questions or issues I've had. Great location, great value, highly recommend Keener Management to anyone who is looking for an apartment! One of the best apartment buildings I've ever lived in. Management was always friendly, timely and caring when dealing with our requests. Maintenance was great, always helping us out exactly when we needed it. Would definitely recommend to anyone I know!